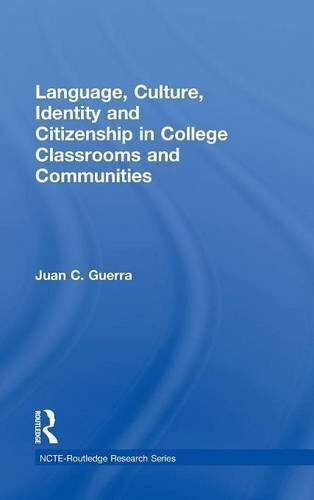 Language, Culture, Identity and Citizenship in College Classrooms and Communities examines what takes place in writing classrooms beyond academic analytical and argumentative writing to include forms that engage students in navigating the civic, political, social and cultural spheres they inhabit. It presents a conceptual framework for imagining how writing instructors can institute campus-wide initiatives, such as Writing Across Communities, that attempt to connect the classroom and the campus to the students’ various communities of belonging, especially students who have been historically underserved. This framework reflects an emerging perspective―writing across difference―that challenges the argument that the best writing instructors can do is develop the skills and knowledge students need to make a successful transition from their home discourses to academic discourses. Instead, the value inherent in the full repertoire of linguistic, cultural and semiotic resources students use in their varied communities of belonging needs to be acknowledged and students need to be encouraged to call on these to the fullest extent possible in the course of learning what they are being taught in the writing classroom. Pedagogically, this book provides educators with the rhetorical, discursive and literacy tools needed to implement this approach. If you have any questions about this product by Juan C Guerra, contact us by completing and submitting the form below. If you are looking for a specif part number, please include it with your message.